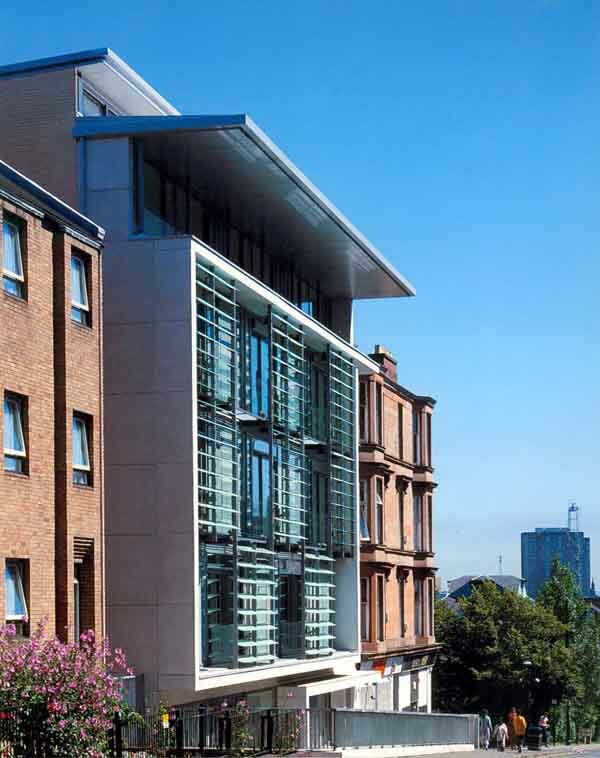 Anderson Bell Christie and the Glasgow Steiner School have embarked on an ambitious programme to repair and restore the School’s important Listed Buildings – developing an exemplar low carbon solution which can be adapted and reused for other refurbishment projects. We are currently evaluating a range of potential energy-saving technologies which will help the School to reduce its running costs and improve the buildings for all who use them. – Sheep in the Roof – “thermo-fleece” roof insulation made out of wool. The build-up of materials within the roof has been carefully designed as the School has a complex roof structure. Technical problems have now been resolved, the “sheep” are on their way up and the building will soon stop leaking energy out of the roof. 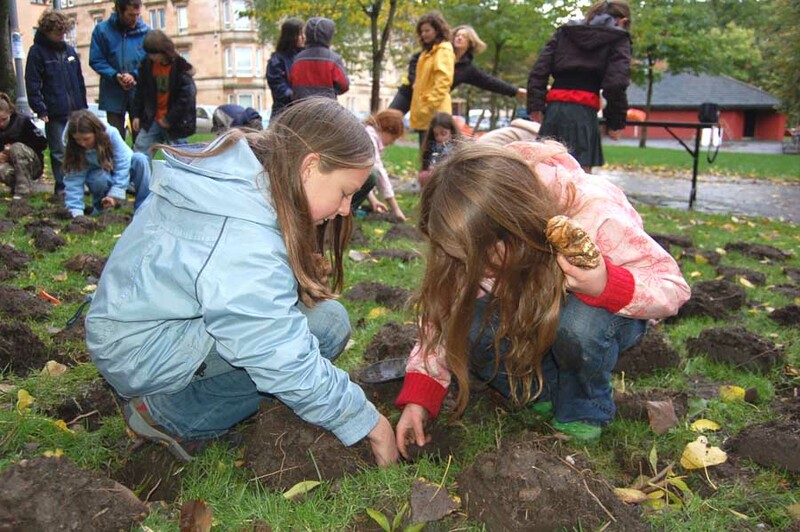 The school, working with Anderson Bell Christie Architects , has just been awarded its second Climate Challenge Fund Grant to develop its Low Carbon Strategy further. – Looking at where heat builds up: current refurbishment work has started to reduce the amount of heat lost; next we will be starting to look at how air moves around the building and make the most of passive heat gain & ventilation – keeping the heat that used to go out through the roof moving around inside. – New Energy Efficient Heating Solution: the School’s old boiler is past its life expectancy and is very ineffi cient – it is now urgently in need of a replacement. We will look at options for a new low carbon combined heating solution, using a Heat Pump and/or other technologies. In the future the school may even be able to meet their own needs in terms of electricity, plus make energy to sell back to the Grid. 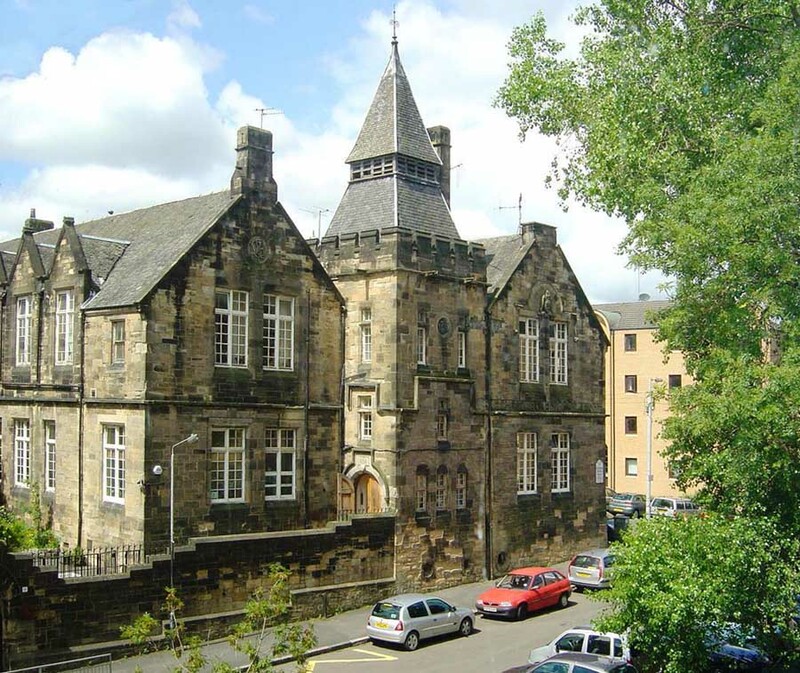 Anderson Bell Christie and the Glasgow Steiner School have obtained funding to embark on an ambitious programme to repair and restore the School’s important Listed Buildings – developing an exemplar low carbon solution which can be adapted and reused for other refurbishment projects. We are currently developing and evaluating a range of potential energy-saving technologies which will help the School to reduce its running costs and improve the buildings for all who use them. Sheep in the Roof – “thermo-fleece” roof insulation made out of wool. 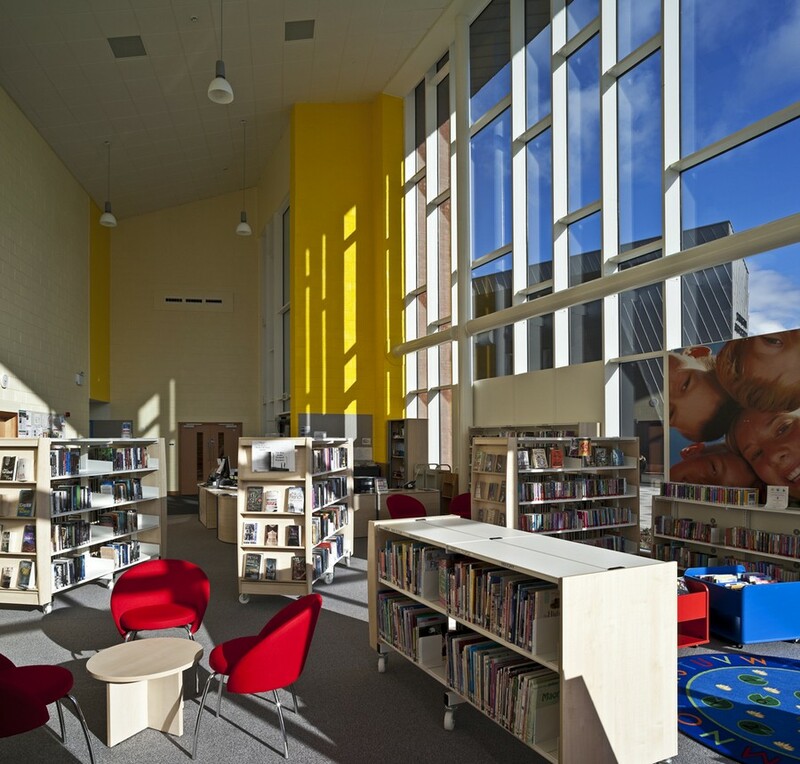 The build-up of materials within the roof has been carefully designed using thermal modelling and condensation analysis – as the School has a complex roof structure. Technical problems have now been resolved, the “sheep” are on their way up and the building will soon stop leaking energy out of the roof. What Next? 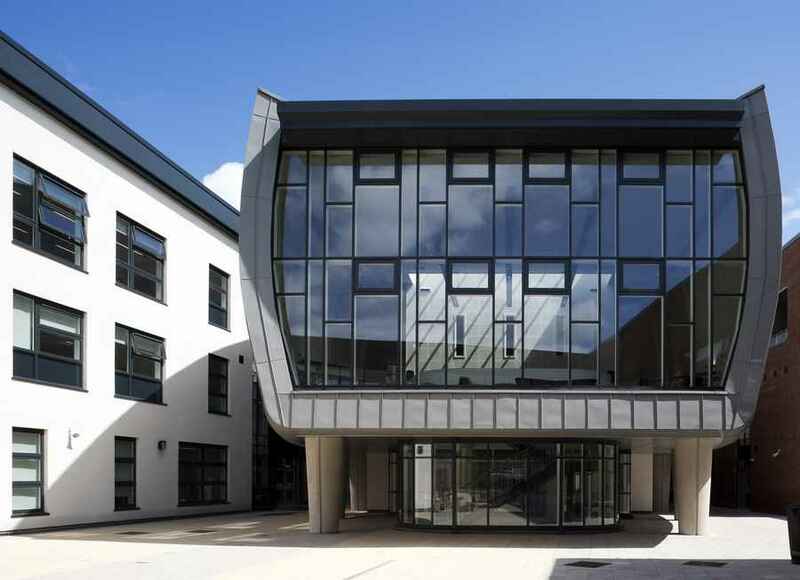 The school, working with Anderson Bell Christie Architects, has just been awarded its second Climate Challenge Fund Grant to carry out a Feasibility Study to develop its Low Carbon Strategy further. Looking at where heat builds up: current refurbishment work has started to reduce the amount of heat lost; next we will be starting to look at how air moves around the building and make the most of passive heat gain & ventilation – keeping the heat that used to go out through the roof moving around inside. New Energy Efficient Heating Solution: the School’s old boiler is past its life expectancy and is very inefficient – it is now urgently in need of a replacement. The Feasibility Study will look at options for a new low carbon combined heating solution, using a Heat Pump and/or other technologies. In the future the school may even be able to meet their own needs in terms of electricity, plus make energy to sell back to the Grid. 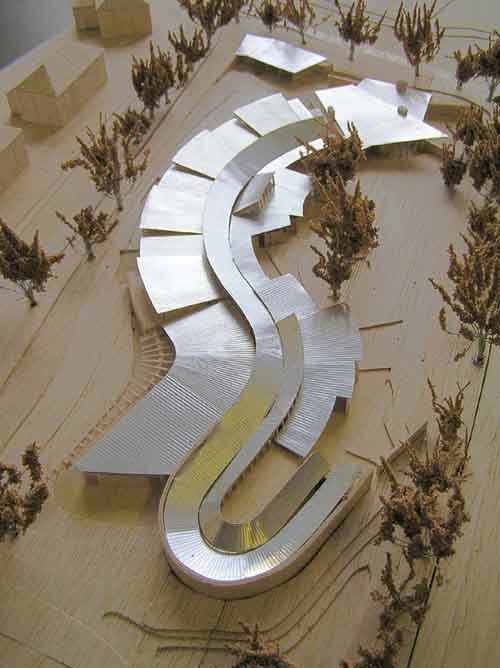 There was an initial feasibility exercise with workshops held to determine future location and direction of school. As a fesult of this a decision was reached to remain in their existing campus – a B-Listed building dating from 1876, designed by John Burnet. Sketch designs were produced to illustrate possible extension and developments of the main building to create more accomodation, together with ideas to renovate the derelict janitor’s house and workshop (former gymnasion). Meanwhile the buildings had not been properly maintained for around 20 years and were in urgent need of repair. GCHT grant funding was available for external, traditional repairs and a tender package was put together for proposed roofworks, window repairs and stonework repair. This package would have cost in the region of £750K approx whereas available funding for the contract works was restricted to circa £350K – so a much reduced proposal – mainly for the overhaul of the roof – was put in place starting in the summer of 2009. GCHT’s maximum grant of £200K (the largest grant they have provided) was match funded by the school (incl VAT and fees). An application to CCF for insulation and ventilation works for the roof provided an additional £56K of grant funding and this work was added to the proposed roof overhaul. Some limited internal alterations were also included. This contract is currently underway and is expected to finish in December 2009. The school still has important fabric repairs to undertake in the next few years – windows, stonework and boiler chimney are showing signs of severe deterioration and will need to be addressed when funds become available. The school’s existing gas-fired boiler has been condemed several times but has been reprieved with adjustments to the ventilation requirements on each occassion. The school is keen to reduce its energy requirements and to this end a feasibility study is underway to address the issue of boiler replacement – the school’s preference being for a renewable source of energy, which presents considerable challenges in a restricted urban location – and improving the thermal performance of the building envelope. In addition, issues of using waste water, zoning of the building, behaviour of building users and low energy appliances will be addressed. [See feasibility scope of works – I’ll forward a copy]. CCF funding may be available for the window repairs (costed previously) which will improve the thermal performance and other carbon-reduction measures plus possibly funding for the heat distribution system but not the heat source (CARES funded if renewable?). 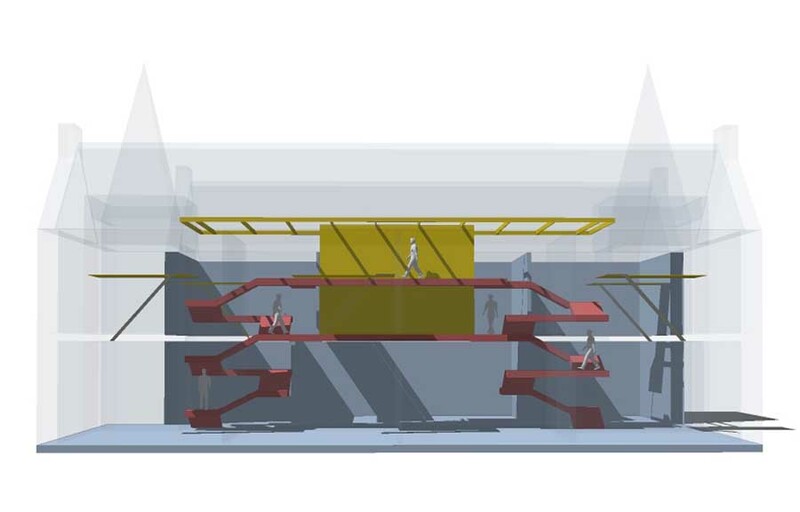 Ambitious aims to reconfigure the central lightwell area of the main school – to gain more accomodation and light – together with developing the Janitor’s house and workshop in line with some of the initial proposals will need considerable funding. To enable these to happen an application to HLF or similar would be required.